Which Precious Metals to Buy? Gold, Silver Platinum or Palladium? What products would you recommend? And which metal should I buy? Our Specialists get this question more often than any other. Of course, by the time someone calls (or visits MoneyMetals.com), they have already done a lot of the most critical thinking. They understand why it is important to own physical gold and silver. And they are planning an investment in low-premium bullion rather than over-priced, illiquid, and scam prone collectible coins. 1) Stick to the most popular and widely traded bullion products (like the kind of products offered at Money Metals Exchange). You will be able to instantly sell and command the fairest price when you are ready. 2) Choose items with a low “bid/ask” spread. Keep an eye on the difference between the price you pay to buy and the price you receive to sell – i.e., transaction costs. The lower those are, the happier you will be. Money Metals makes it easy for you to calculate this spread by publishing all buy and sell prices live on our website. 3) Establish your priorities and choose products accordingly. Many investors seek forms of gold bullion and silver bullion that are most suitable for barter and trade in a crisis. They should consider buying some smaller fractionals, like coins or rounds to have something on hand suitable for small purchases. Pre-1965 90% silver U.S. coins, 1/10th oz silver rounds, old us gold coins and 1/10th oz American Eagle gold coins are the most popular products for people concerned with preparedness. Which is the Best Precious Metal to Invest In? When it comes to the choice, should I buy platinum or gold? Investors should also be comforted that they can’t really make a “wrong” choice if they avoid those “collectible” coins and buy common bullion coins, rounds, and bars. Expect both metals to perform their time-tested role, providing outsized returns in this era of uncertainty and inflation. Therefore the best precious metal to invest in 2017, depends on what you can afford when adding to your portfolio. 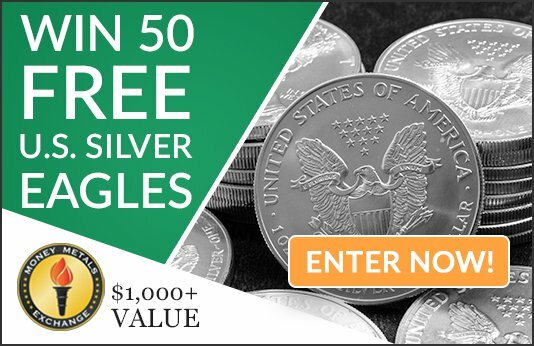 If you're new to investing you can always start out with silver coins, like junk silver for sale due to their low premiums, or if you have been in the game for awhile you can always add some gold to your collection like the American Eagle coin, the choice is yours. The gold/silver ratio sits at 73 as of this writing – an indication that the lows for metal prices may be near. And that silver may soon enter a period of outperformance. There are other reasons to expect good news in gold markets and great news for silver. The next leg higher in precious metals prices is, in our opinion, inevitable. So today looks like a great time to favor silver. But, if the white metal’s typically larger price swings will keep you awake at night, gold may be the better choice. 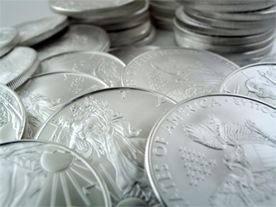 Engineers are designing silver into more applications all the time. And the industries demanding silver are among some of the fastest growing. Silver is used in batteries, computers, automobiles, cell phones, hospitals, nanotechnology, and solar panels just to name a few. According to the Silver Institute, total industrial demand wil grow 27% through 2018. Meaning an additional 142 million ounces of silver will need to be supplied. To say nothing of silver’s reemerging role as a monetary and investment asset. Gold, on the other hand, is thought of by some as the ultimate monetary metal. Though silver has been used in coinage more often, gold is the metal central banks around the world hold in reserve. And the market for gold is larger than the market for silver. Some people argue these factors represent significant advantages for gold. We aren’t so sure. History shows the fortunes of both markets inextricably tied, again with silver outperforming as prices rise. A $10,000 shipment of silver at today’s prices weighs nearly 40 lbs. and comes in a package roughly the size of a shoe box. A gold shipment of $10,000 weighs just a few ounces and takes up almost no room at all. Gold might be the best option if handling heavier boxes is truly problematic and/or available space for storage is limited. But the “problem” presented by silver’s bulkiness is generally pretty minor – when it rises much more sharply than gold, we doubt you will be complaining!